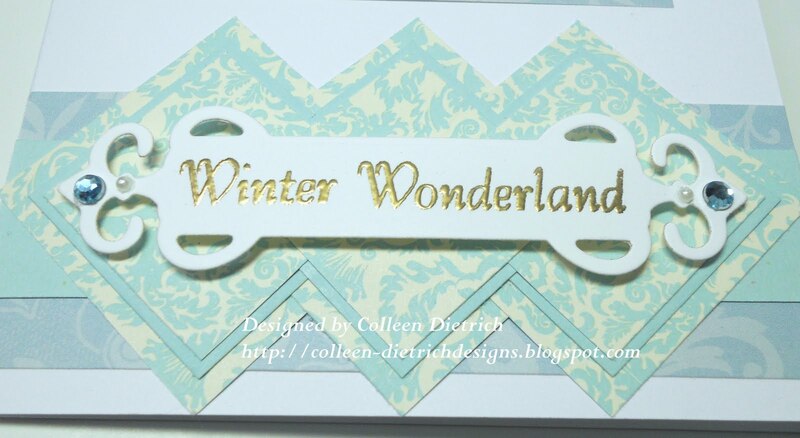 I've been dying to play in Flourishes FLLCNOEL5 "Blue Christmas" challenge. You must use Flourishes stamps, and luckily I have two sets of their holiday stuff. 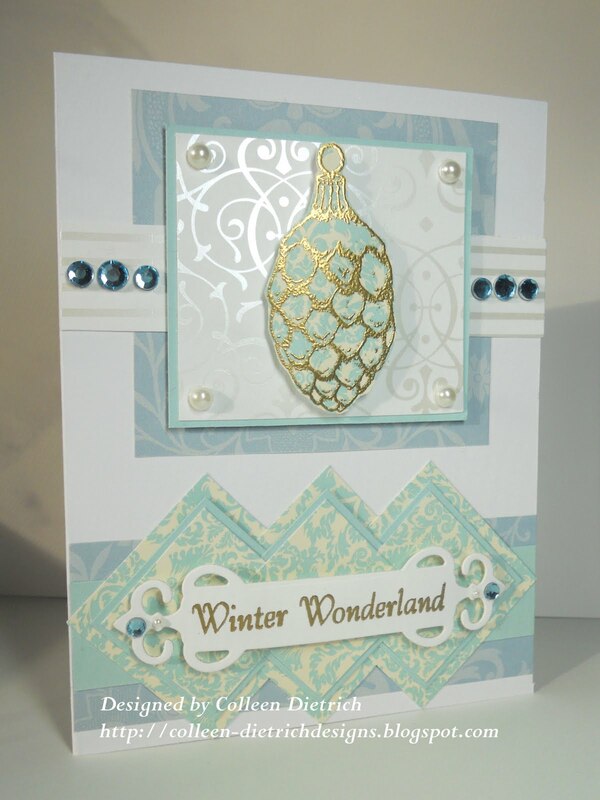 The gold embossed pinecone is from All That Glitters, and the sentiment is from Sleigh Ride. At Ooh La La Challenge Blog (OLLCB) #62, we are to use stripes. I have white-on-white striped paper behind the main focal point, under the rhinestones. The designer papers are from Stampin' Up but for one; it is from my much-guarded stash of Anna Griffin paper. I can't believe I cracked it open. I did make two of these cards, but they're not quite identical. The three squares of paper under the Fancy Tag, turned so they're diamond-shaped, are the difference. This version looks a bit too plain, I think. 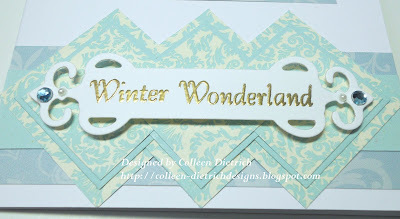 For the sentiment, I used my new Spellbinders Fancy Tags dies. Wow, are they nice to work with! Small rhinestones and pearls dressed it up even more. I don't have too many Christmas cards made for this year. Time is passing quickly by, and those cards aren't going to make themselves. Perhaps I should focus on that! How's your holiday card-making going? 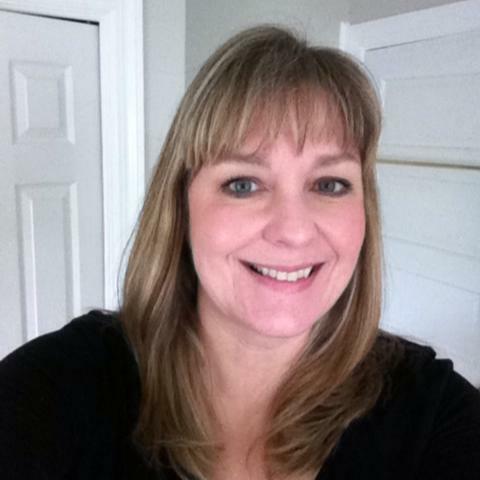 Gorgeous, Colleen!! Wow, I love all of your special details. 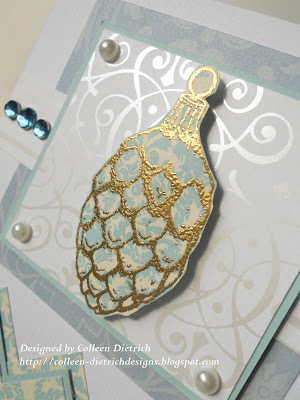 The embossing on that pine cone ornament is perfect!! Looks just like a vintage German glass ornament. So lucky that you have two Flourishes Christmas sets :) I don't have any--I have to think REALLY hard when contemplating that Flourishes Christmas challenge. I really hope you win--your card is fabulous!!! Very pretty, I love the colors in this. Beautiful Col! That shade of blue is absolutely stunning. Your card is classy, elegant and simply a wonderful sight for the eyes! I hope you win, too! Great use of the sketch, Colleen!! Love the embossed pinecone and how you did your sentiment panel. This is beautiful. I LOVE the gold. 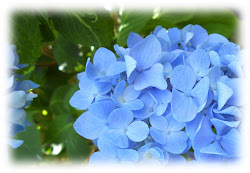 It is so pretty with the soft blues. Thank you so much for joining Flourishes Christmas Challenge. love the gold embossing!!! Gorgeous card! Very impressive card, love how you embossed the pinecone, love the whole card! Coleen this is just awesome. I love the sparkle and shine. The ice blue color is just amazing. Great job on that sketch...it sure is a great one. Oh my - so beautiful! Great colors, great embossing, and great job on the sketch. Thanks for joining us at Repeat Impressions! How pretty Colleen! I love this in non traditional Christmas colors! It's so elegant and serene! Really beautiful card - I love your design paper, it was well worth opening! Stunning card!!! Love the soft blue with the gold! !